For the 2015 model year, General Motors has completely made over its fullsize sport utility vehicles. And now for MY2015, the General has updated its big SUVs. Wait, isn’t that the same model year? Apparently yes and no. The paperwork that arrived with this 2015 GMC Yukon XL Denali tester showed a couple of things the vehicle did not have. Since a road trip was planned during my week behind the wheel of the big rig, I was looking forward to the new eight-speed transmission GM was giving its sport utes this year, but the test unit arrived with the older six-speed auto. Another greatly anticipated item was the new 4G LTE WiFi but alas, that was left out of our test rig as well. 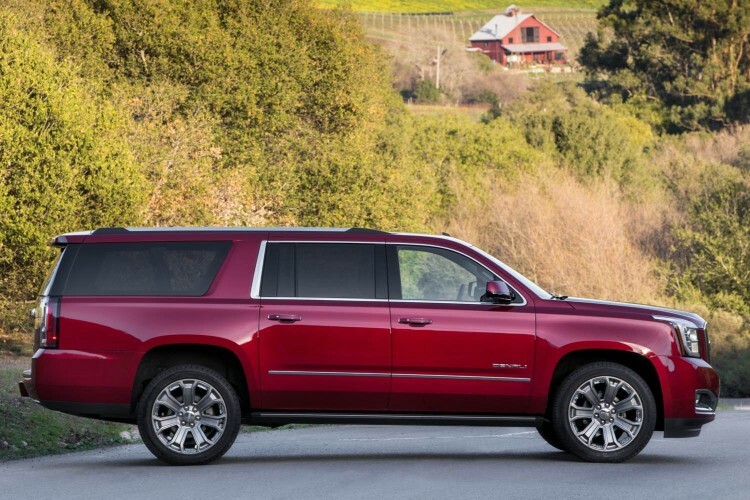 It seems there are early 2015 models of the Tahoe, Suburban, Yukon and Escalade, and there are regular ‘15s that arrived this fall that saw these updates from the manufacturer. Despite this discrepancy, we still enjoyed our time in the Yukon XL especially with the Denali package it arrived in. Mother Nature delivered the first real cold snap of the season so the heated steering wheel and heated seats were a real blessing, as was the option to remote start the vehicle from the OnStar RemoteLink app on my cellphone. All of the large, frame-based SUVs produced by General Motors’ three divisions roll off the assembly line in Arlington, Texas and they all feature the latest EcoTec3 V-8 gas engines in rear- or four-wheel drive architecture. 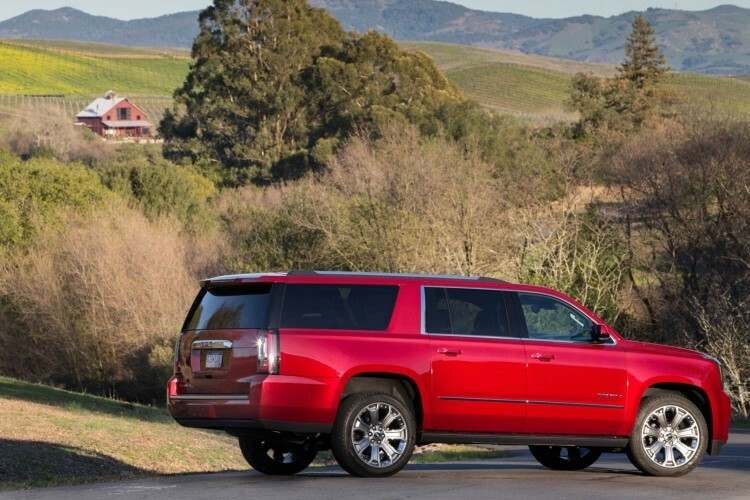 The Yukon XL we tested is basically the GMC version of the Chevy Suburban, and it is quite the land yacht. Despite its behemoth size it was surprisingly easy to drive and is very maneuverable. The big rig is quiet and smooth on the road and rides very well-balanced. It can seat up to eight and haul a vast amount of cargo. 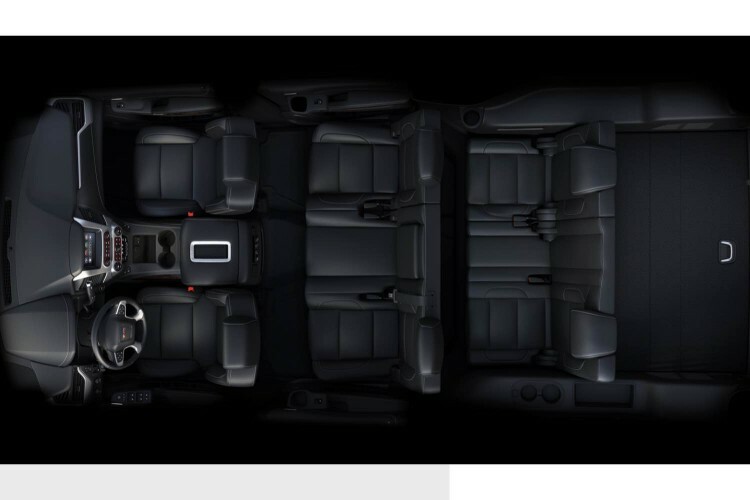 New for 2015 (both 2015s) is the power folding third row seats, which are such an improvement over what GM previously offered in its large SUVs (and at least these seats won’t be easily stolen). Safety technology enhancements include GM’s safety alert seat, adaptive cruise control, crash imminent braking, forward collision alert, side blind zone alert, lane change alert, lane departure warning, rear cross traffic alert and segment-first front-seat center airbag. 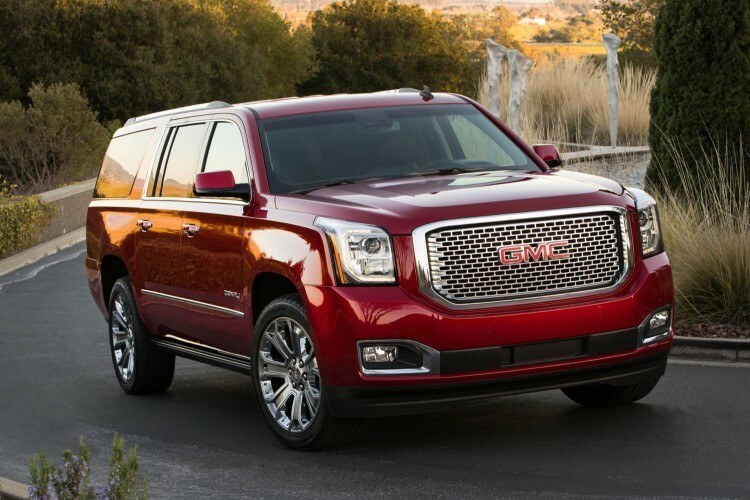 The Yukon family is powered by either 5.3-liter V-8 with 355hp or, as our tester arrived, a 420hp 6.2-liter V-8 with 460 lb. ft. of torque. As I mentioned, the 2015 trucks are supposed to be equipped with the new heavy-duty eight-speed automatic gearbox that boosts fuel economy by up to 2 mpg, but ours arrived with the six-speed. EPA ratings for this vehicle are 14 mpg city and 20 mpg highway and while we saw slightly less in town, we were able to glean 21 mpg out of the Yukon XL on the road. Despite the cold blast of weather, we never had to experience the vehicle automatically engaging the four-wheel drive system. Styling is new both inside and out for all 2015 model GM sport utes with the bold exteriors being most notable. The driving experience is exceptional especially for a vehicle this size. Engineers have done a great job making the new trucks comfortable yet sturdy. 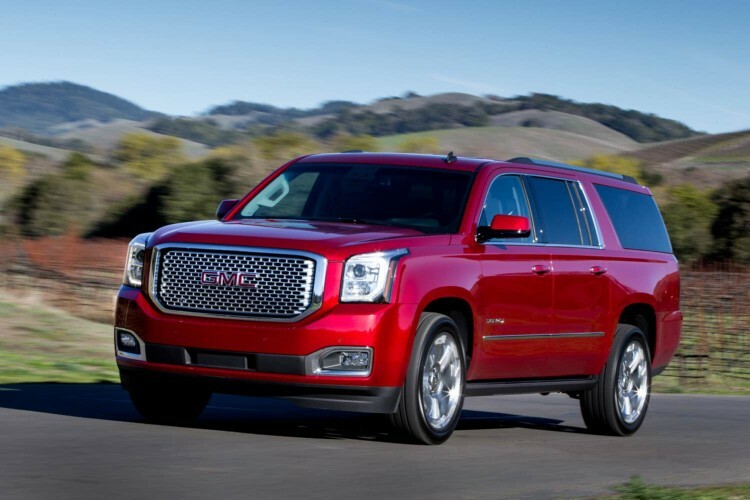 Pricing for the 2015 GMC Yukon XL in Denali trim as our tester was begins at $68,380. After the addition of several options, this vehicle arrived with a final sticker of $77,965. 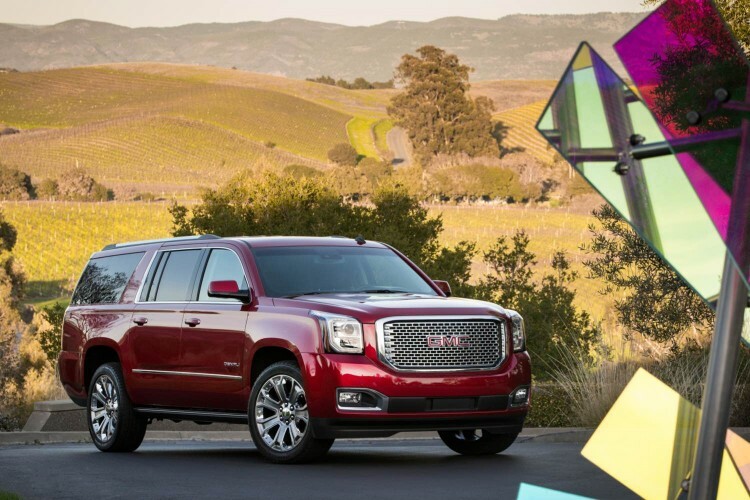 Despite the confusion over the model year(s) and the equipment list, we enjoyed the new 2015 GMC Yukon XL Denali as it proved very comfortable, very capable, and very convenient for our little road trip while also being quite compatible at everyday tasks.